Coming up a day late, but will call this an October post for the sake of maintaining the monthly post cycle. The main things holding me back on items 1-3 is the photoshoot. New home means setting up a new photo set-up, and unfortunately I’m not getting good photos. I need to stop by a dollar store to get another sheet of black paper too, as white just isn’t cutting it right now. 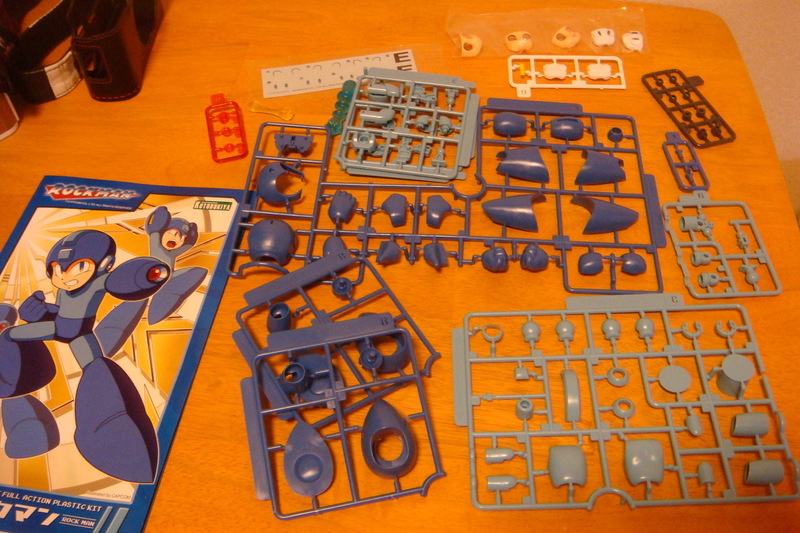 But, now that I no longer have a gaming out, that means I can get back to the important stuff, the Gunpla! 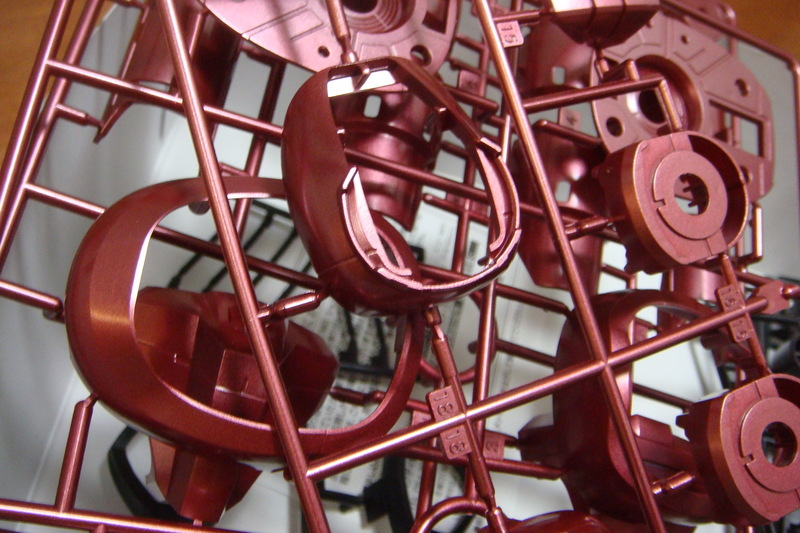 On my currently in progress list is the ReZel of course, and having just seen UC Gundam episode 2 in the theaters, I’m fired up for building both it and the HGUC Sinanju. Speaking of which, UC Episode 2 brings on the awesomeness again, and at the same time the pain of knowing we have to wait nearly 6 months for the next installment. Like I said, I got the chance to see it in the theaters, but having to attend a work event on Saturday kept me from going on day one. Unfortunately, the two movie event items, the gentei gundam and blu-ray both sold out on day 1, so suffice to say, I was a pretty sad camper. 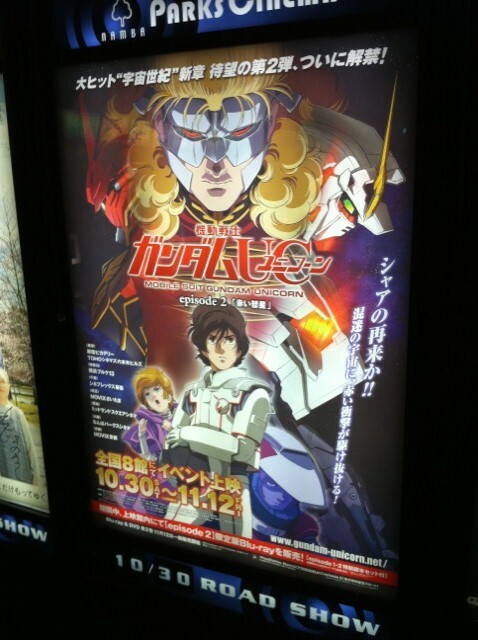 Especially when it became obvious that nearly 50% of the allotment all went to the theater in Shinjuku. 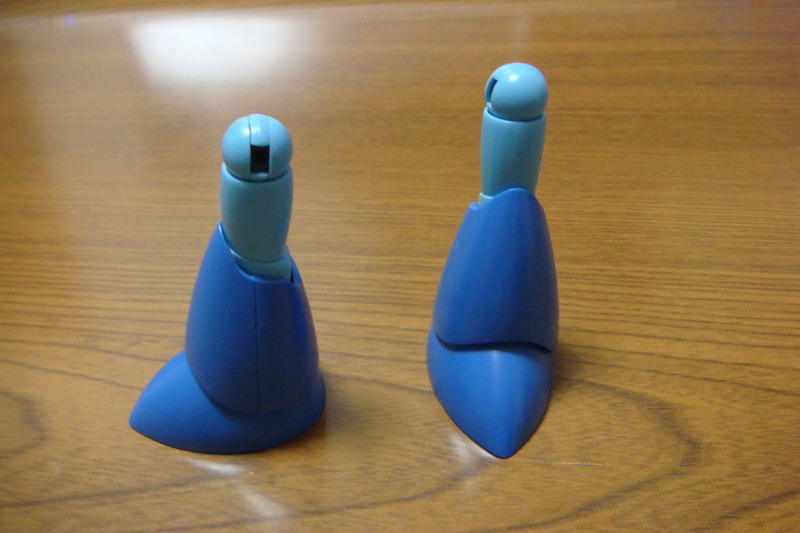 Thanks Bandai, for screwing your fans in cities other than Tokyo. But oh well, that saves me money so I shouldn’t complain too much. The plan for November is to keep chugging at the ReZel and Sinanju, and hopefully whittle the backlog down a little before the big drop of the PG Strike Freedom in December. 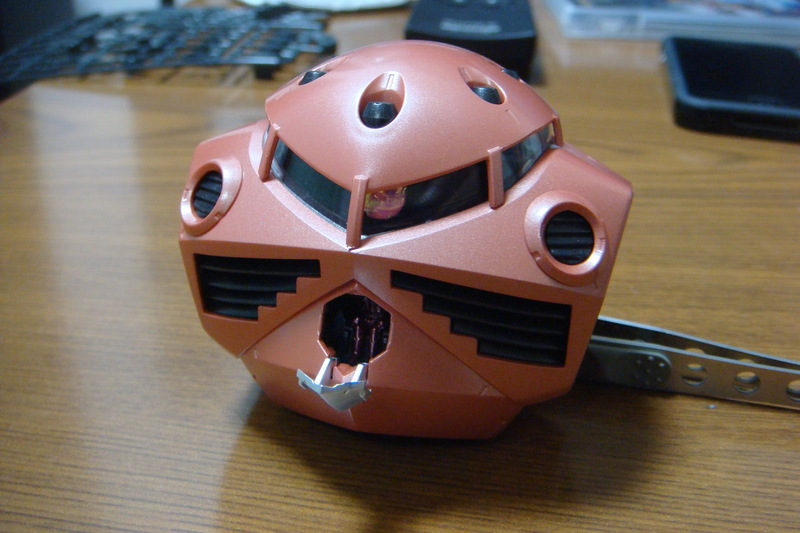 While the RG Zaku II looks good, it’s one of those things I know I probably won’t build if I buy it right off the bat. Also, I’m actually going to be spending a few weekends in Tokyo for work so weekends will be tight unfortunately. 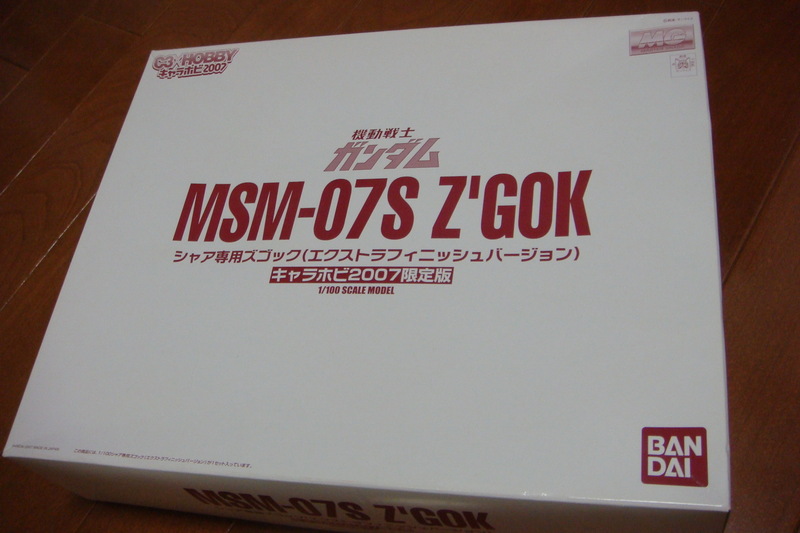 By not picking up any other Gunpla, though, I have a good chance to knock stuff out. A bit of a shorter note this month, but still just to let you know where I’m at. What’s on peoples to-do list for November? I was a bit under the weather last week which kept me from posting at much as I wanted, but I’ve got a slew of posts lining up for the next few weeks. First up, after viewing Gaijin Gunpla’s new review system, I really like how he hits all the important points while showing the appropriate pictures to justify said points, and includes the gallery to top it off. With that said, I’m going to give him the best type of flattery there is, by imitating him and adopting his style for reviews, with some changes, for my reviews going forward. While I’ll be hitting the same points (Overall look, colors, build design, weapons, extras, articulation, fun factor) I won’t be doing a point system, rather trying to do pros and cons in each specific point. So that means no fancy graph, but it’s probably best that way. And WordPress won’t let me use flash score graphs like his reviews. 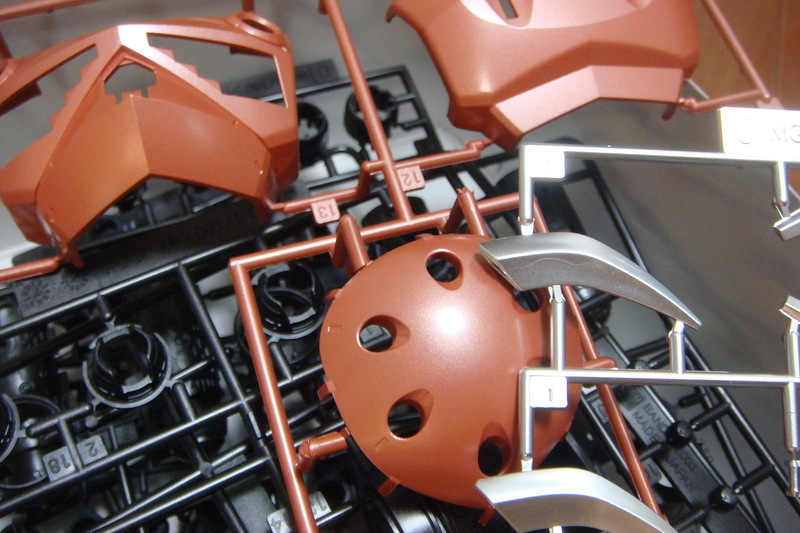 So I plan on using this new review system first with the Eva-02 Evangelion (Rebuild of Evangelion version), thanks to HobbyLink Japan, who provided me with a sample kit for reviewing purposes. Look for that here in the next couple of days. 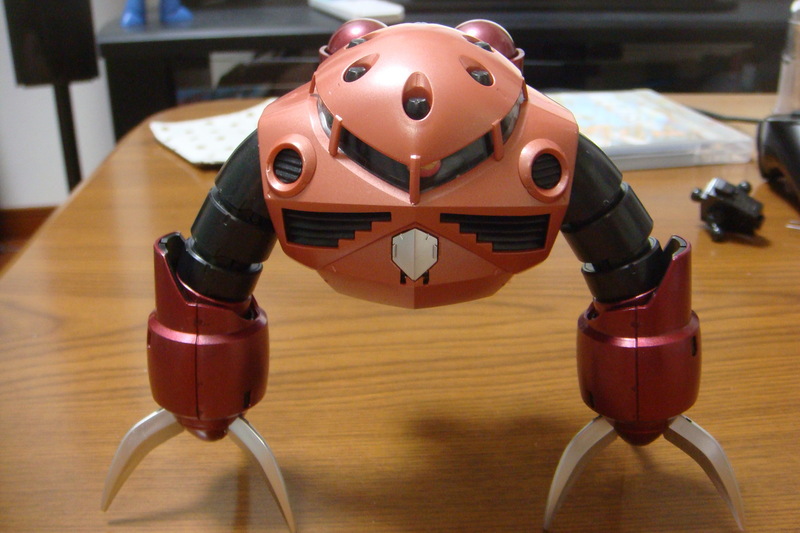 Other upcoming reviews and photo galleries include the Kotobukiya Rockman kit, followed by the continuation of the MG Z’Gok WiP and its subsequent photo gallery. 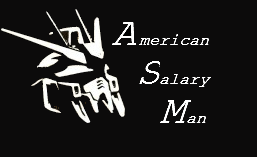 Also on the burner is a new post in the American in Akiba series. While I won’t be able to do the series every month, I should be able to do one every few months. Thankfully I’m in a position where I get to travel to Tokyo still at least once a month so I’ll be squeezing in Akiba as much as possible. And not to leave Osaka without love, I’ll be starting a new series focusing on Osaka’s answer to Akiba, Nipponbashi, as well in due time. 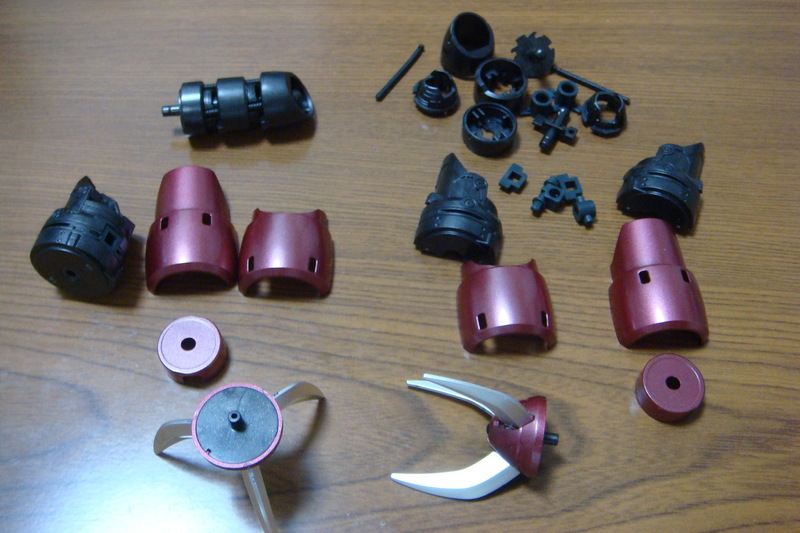 And finally, while I’ll be doing an official post next week some time, for those who don’t know, Gaijin Gunpla has thrown the gauntlet down this time, and another GAF Group Build. the MG ReZel GB has just kicked off. Yours truly has already thrown in his hat, now how about you? Head over to the GAF thread for more details! So that’s what coming up. And to finish off, to also imitate one of Plamo Addiction’s great traits, a picture for you. 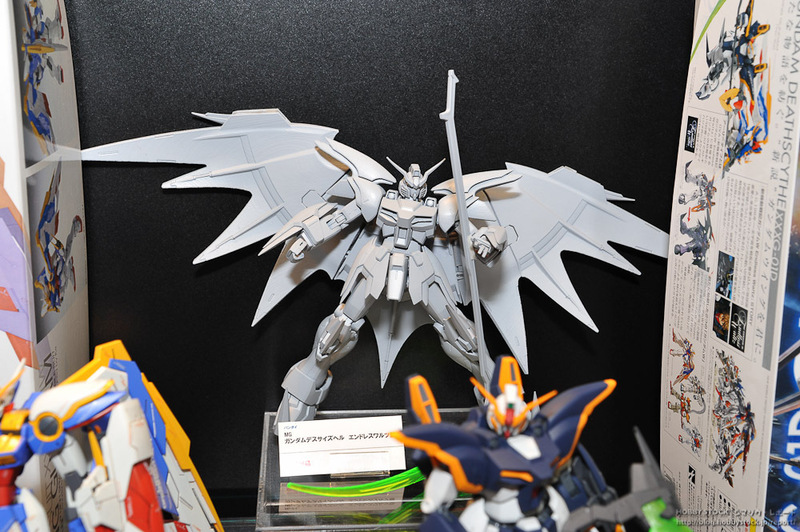 50th Plamodel Hobby Show Gundam News! Some exciting and incredible news out of the 50th All Japan Plastic Model Hobby Show that starts today in Tokyo! So much that I find myself sneaking around at work to post my thoughts, and get some discussion going! 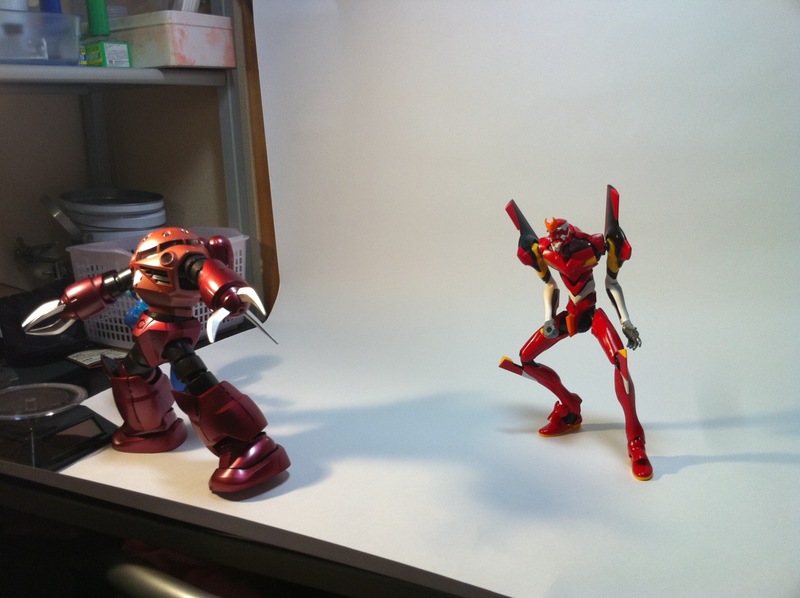 Be sure to check out Gundam Guy as he’s posting updates and pictures as it happens. 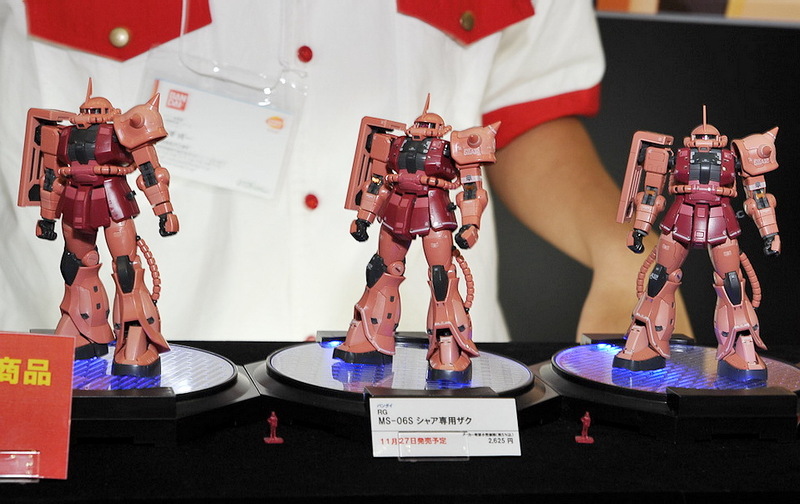 But the sheer amount of MG’s announced has me fired up for some Gunpla! 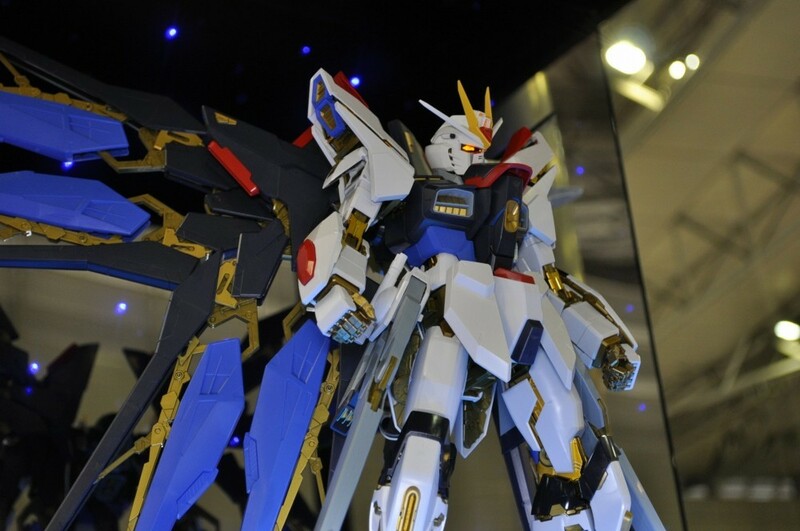 PG Strike Freedom – Looking better than I thought it would, and looks to be huge! The gold finish is not at all what I was expecting though. I was expecting shiny gold like the Musha Mk. 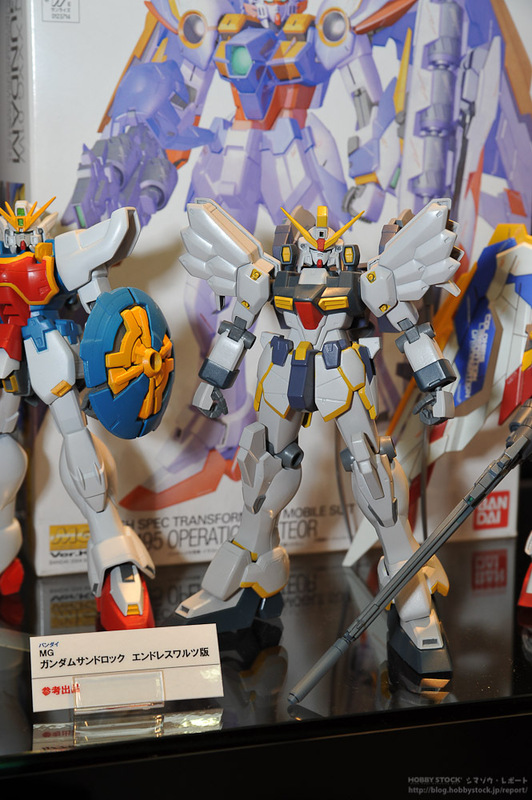 II, but from a distance it looks like gold plastic like the regular MG and other kits. However close up shots make it look lke a very muted plated gold. Looks good up close, looks eh far away. 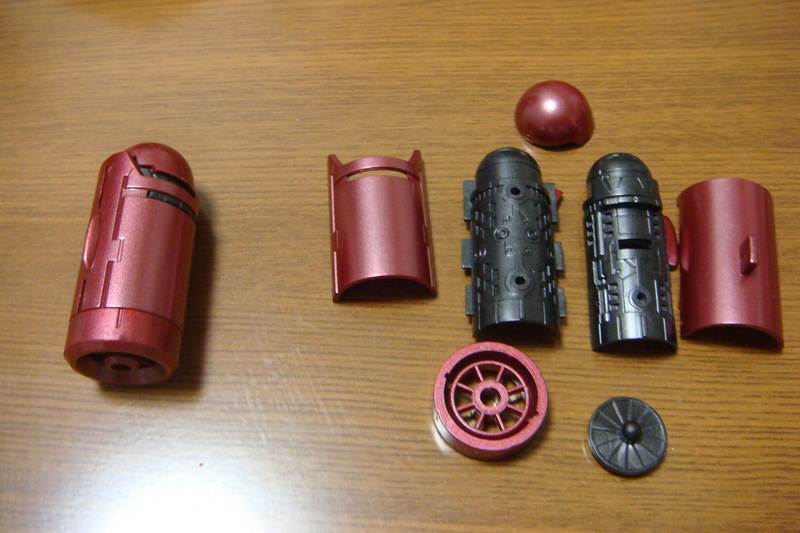 RG Char Zaku-II – Looking better than I thought it would be, this may be a day one purchase. Box art is good too! MG Quan[T] – Still looking like Exia 1.5 with a new sword. Pass. 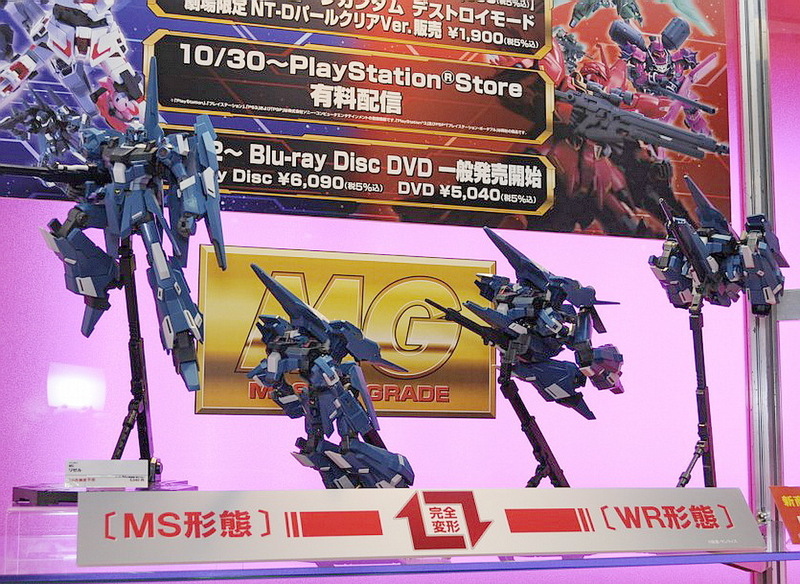 MG ReZel – Transformation gimmick looks pretty good seeing how they showed off the stages of change. This may make me change from a get later to a get sooner. 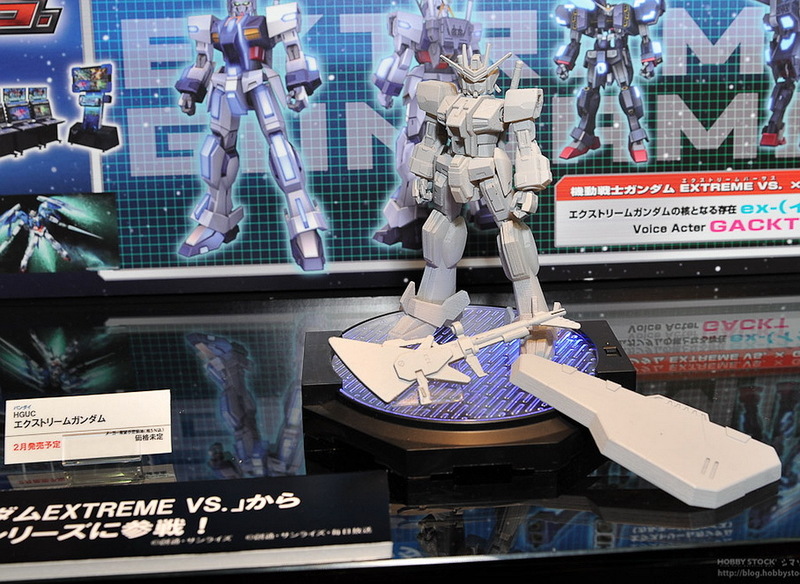 HG Extreme Gundam – I’m liking this design, looks like I’ll be picking it up. MG Deathscythe Hell Custom – Burning people!! Nice Bandai, you should have waited a bit longer to announce this one so you could get more sales out of the MG Deathscythe. I’m glad I waited, because this is the one I’ll be getting. 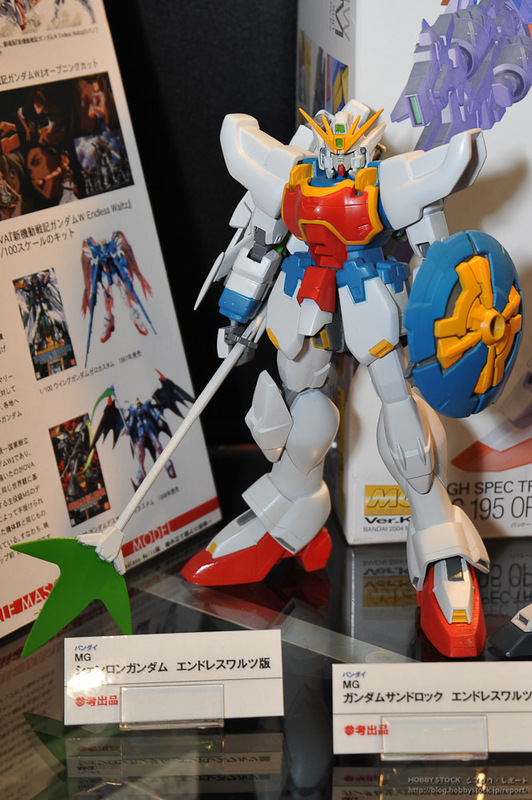 And then there are the other Gundam W kits as well. While we knew they would be eventually releasing them, it’s suprising to see such a fast turn around. Heavyarms is a want! 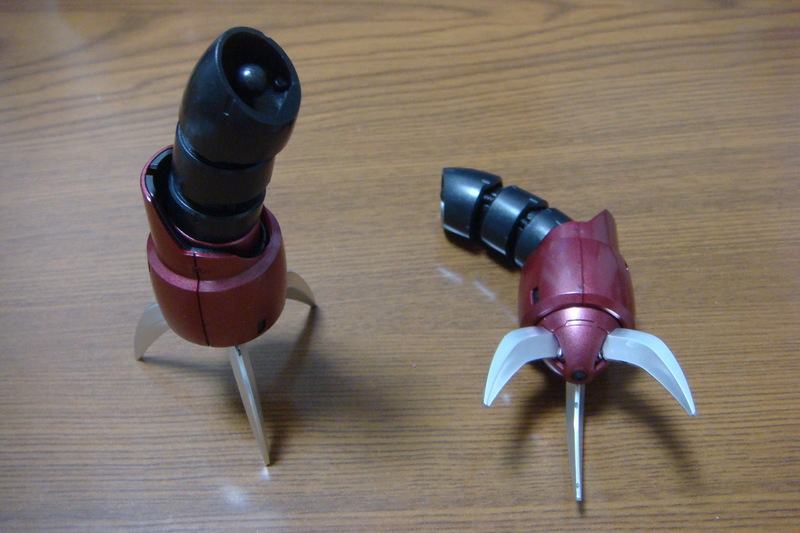 All photo’s from Gundam Guy and his respective sources. 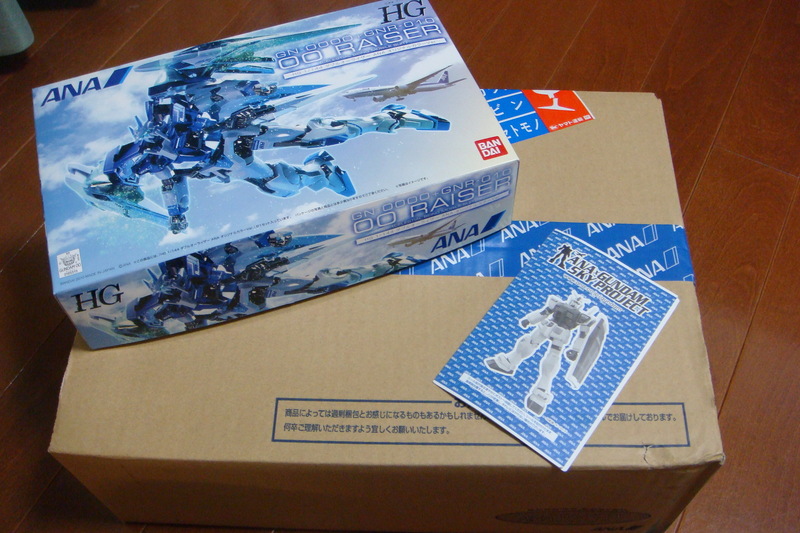 As I mentioned before, I was able to get access to some ANA cards, and will be able to get some of the HG 00 Raiser ANA color kits. Please note that my coworker is providing these kits, so I will not be able to provide them at cost like last time. 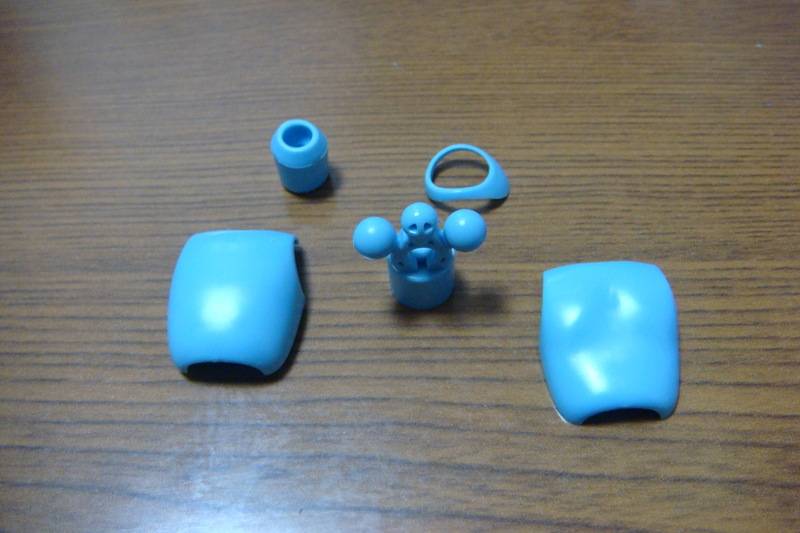 Other than that, shipping is to be covered by the purchaser (~700 yen a kit) and that only paypal (in yen) is accepted. 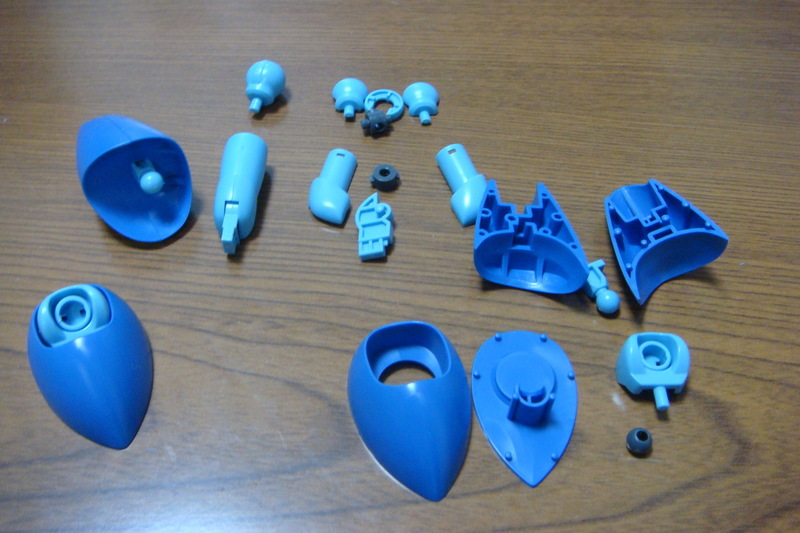 In regards to to the 1/48 ANA Gundam kit, due to the extreme shipping cost incurred with its size, I don’t plan on ordering any. 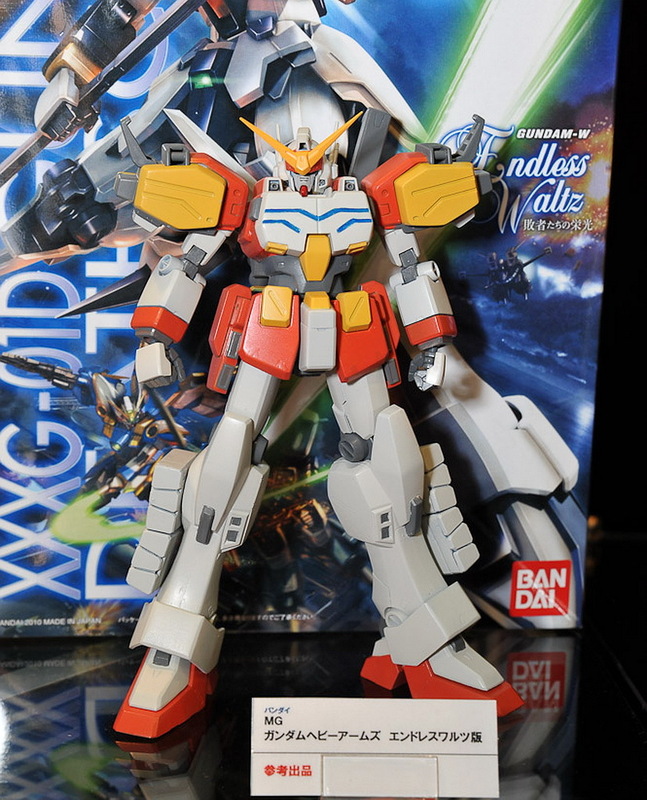 If you are interested in the HG kits, please drop me an email at american.salary (at) gmail.com. I’ll leave this up until the weekend, or I run out of kits, which ever comes first. Time to get back to building! Rather than jump straight back into a big Gunpla kit, I’m working my way back up the ladder starting with a Kotobukiya kit. 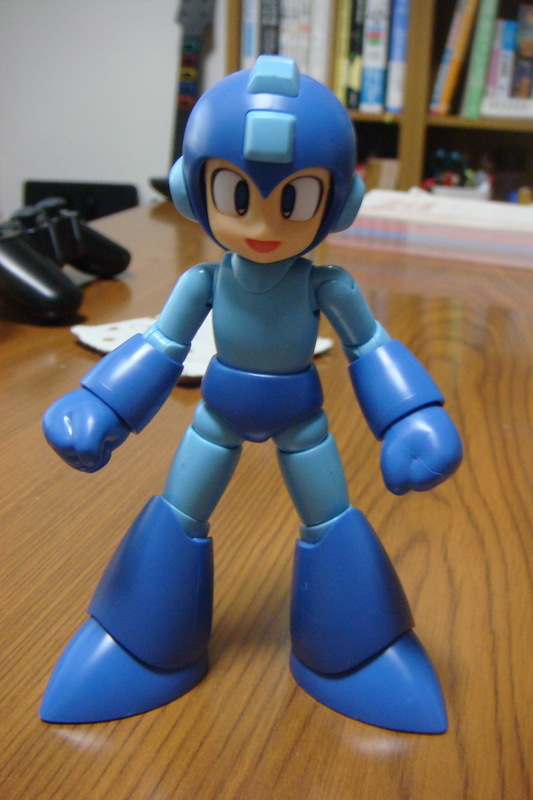 Rockman has been one of my favorite series ever since Mega Man 2 (and my all time fave Mega Man game), and I actually had a couple of the really shoddy Bandai Rockman plastic kits several years ago. 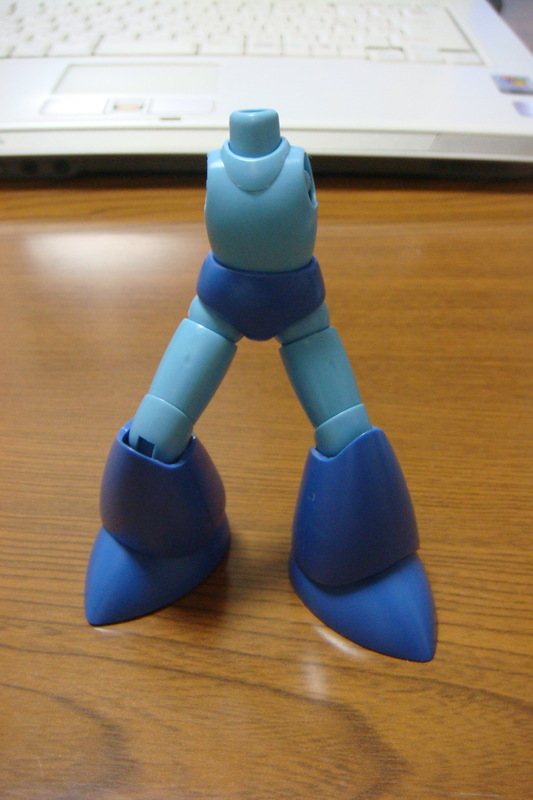 Imagine my surprise and pleasure when I heard that Kotobukiya was going to be giving Rockman their Plamo treatment. One thing that surprised me as well though was there didn’t seem to be that much interest in this kit, when I brought it up at the meeting of the 4 bloggers of the apocalypse. 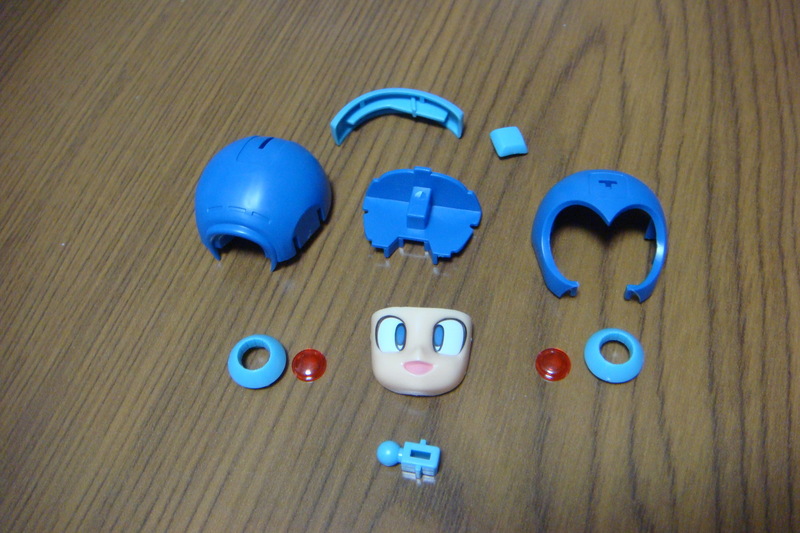 Still, after the good quality of Kotobukiya’s Hoihoi kits, I had high hopes for Rockman. So let’s get started! 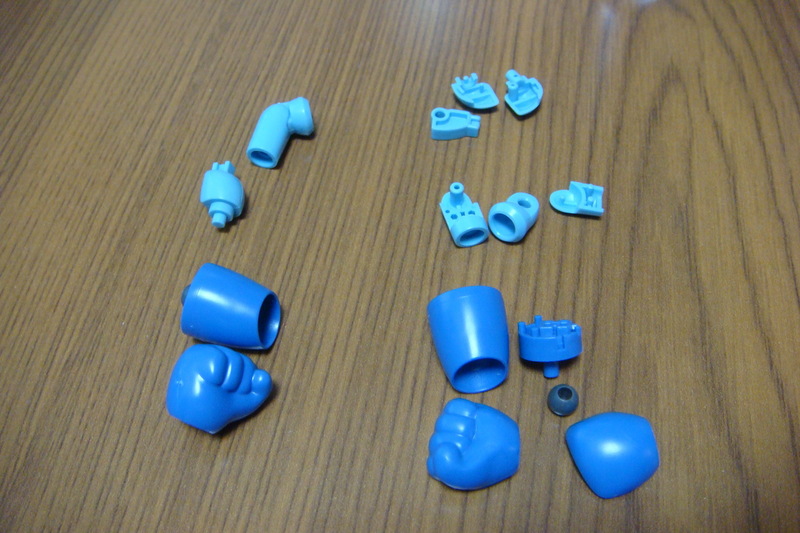 First off, the number of runners really surprised me, it comes with almost the same amount of runners as a small HG kit, less than even the Hoihoi kits, and the runners themselves aren’t huge. 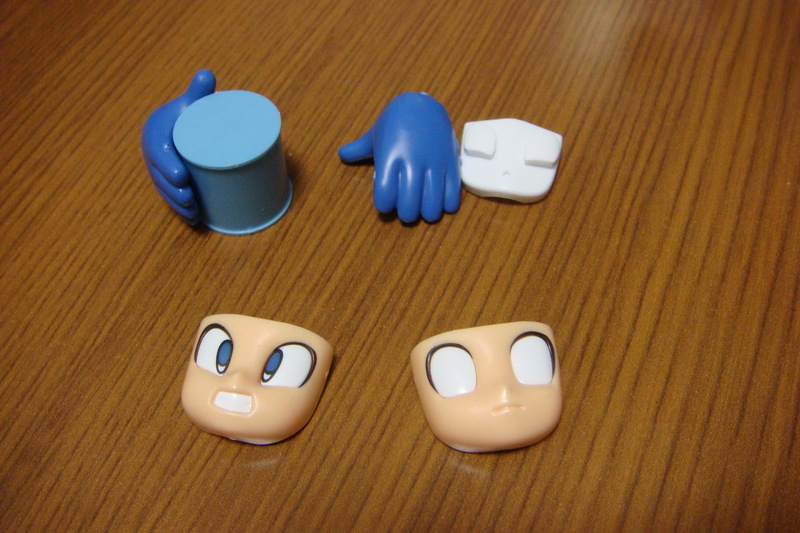 All this makes one Rockman. 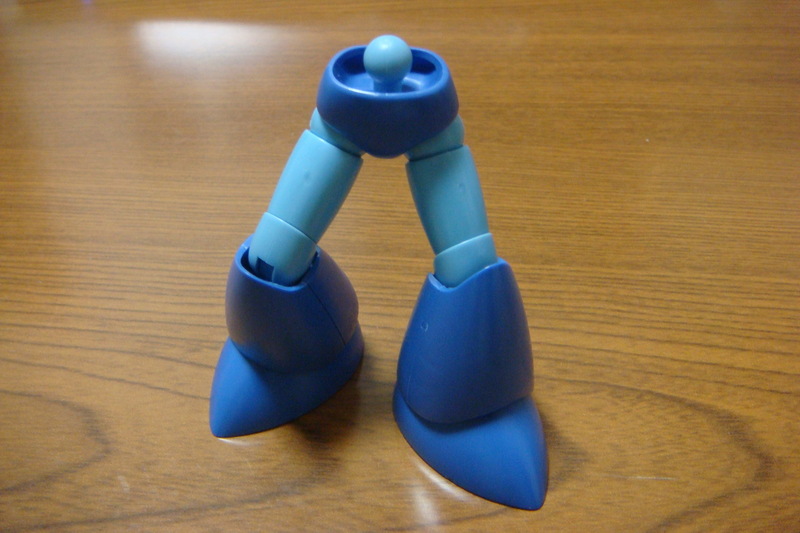 Starting off with the legs, its a very very fast build, with just the foot, shin armor, upper leg and joint. 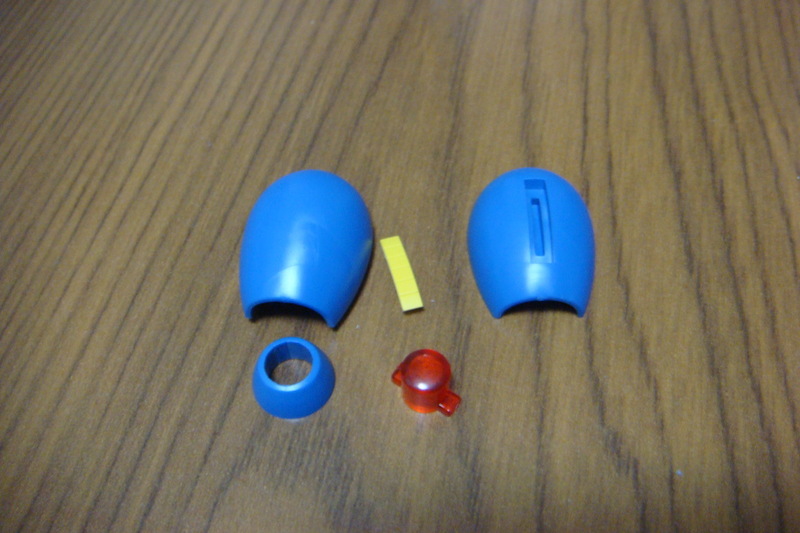 Completed parts on the leg with pieces on the right. The waist itself is another simple affair, and before you know it you’ve got a lower body. Completed arm pieces on the left and pieces on the right. 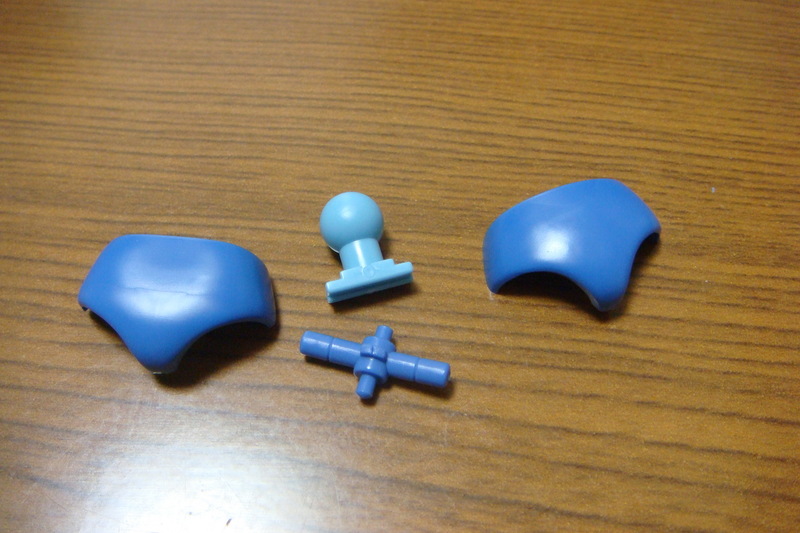 The head probably has the most pieces in the kit. 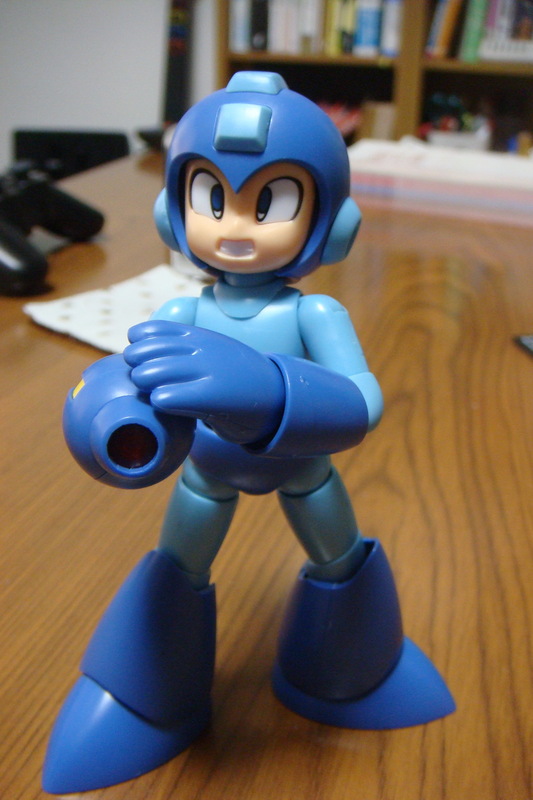 Like Hoihoi-san, you can switch out facial expressions, and it’s actually easier with Rockman as you simply pop it in at an angle. With Hoihoi-san you had to take off part of the hair to get at it. Additional expressions as well as hands. 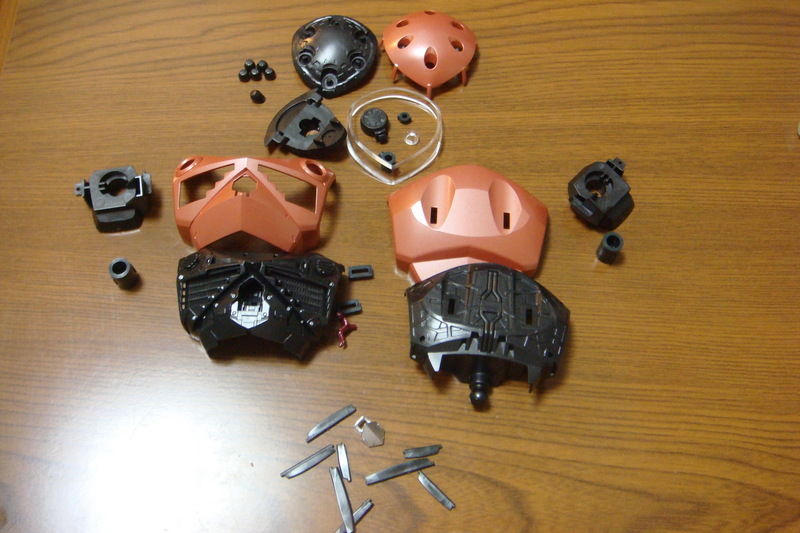 Lastly, building his gun, which I think was call the Rockbuster (Megabuster?)? Just a couple of parts here as well. 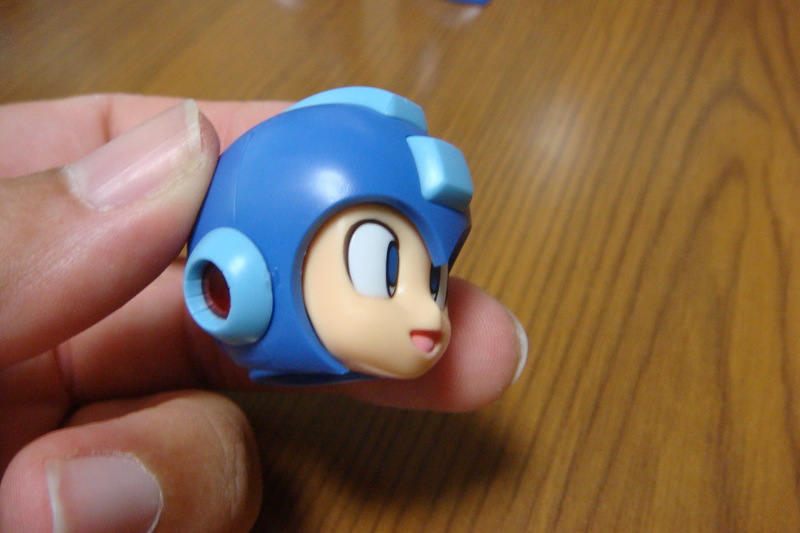 With that, Rockman is done. The whole build took less than 2 hours, so it’s incredibly fast. And the final product?